At the moment, sun in Michigan is at a premium. We’ve spent too many days in the grip of the Polar Vortex and we’re all dreaming of palm-shaded beaches. Perhaps it is my dreams of sun and sand, but this week I’ve been thinking about shadows. I’ve written about shadow activities before, so for ideas for human sundials and other experiments, check this link from 2012. We’ll repeat a few ideas this year, build on them, and try some brand new ones. And for Michigan-friendly fun, few of them require actual sunlight. 1. Enjoy some shadow experiments. Try predicting what will cast a shadow and what will not, inside or out. Inside, gather all available flashlights and see which toys and household objects cast clear shadows, fuzzy shadows, or no shadows at all. What about soap bubbles? Will they cast a shadow? Give it a try. (If it gets down to 15 below again, we can see if it makes a difference if the bubbles are frozen!) 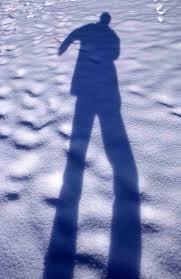 If you are in snow country, build a snowman and watch his shadow. Mark the end of it with a stick. When is it longest? Shortest? Does it stay in the same place? 2. Many of us have played shadow tag, in which players run to avoid having others step on their shadows. But shadow tag can be difficult in cold weather. After a short game outside, invent a new shadow game indoors. How could you use flashlights for a new version of shadow tag, or perhaps shadow Twister or shadow mini-golf? 3. Try some drama using shadows. Of course you could enjoy traditional shadow puppets. 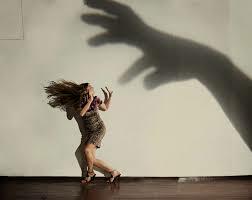 But for something different, see what dramatic photos you can take employing shadows. Combine humans and shadows to create dramatic effects. I love this horror spoof, but I’ll bet you could come up with even more. 4. I went looking for shadow-themed recipes (since what’s family fun without some food?) and found them pretty limited. 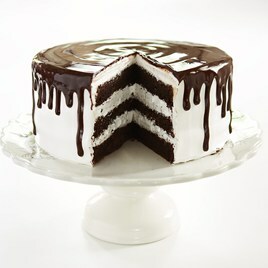 I never knew that shadow cake was a northeast classic. Following the recipe looks like delicious fun, but not particularly creative. But you could invent a recipe for other shadow food. What might shadow cookies look like? How about shadow bread or shadow casserole? If you invent a recipe, I’ll happily post a picture. 5. 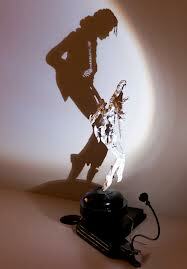 Taking inspiration from my favorite shadow art would be challenging, but definitely worth it. Start by exploring the absolutely mind-blowing sculptures of artists Diet Wiegman or Tim Noble and Sue Webster. They create carefully assembled collections of scrap metal, glass, and all manner of detritus, point a light source at them, and suddenly unseen images emerge. Try assembling Legos, blocks, straws or recycling materials, pointing lights in different directions, and see if you can create a surprise. It surely will be great creative fun to try! « When is Failure Not Failure?